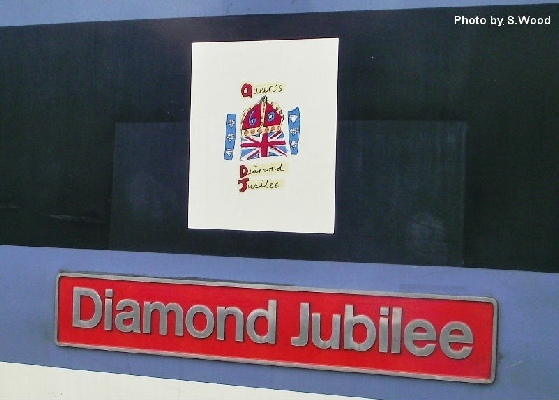 Owing to planned engineering work on the West Coast, the sleepers were diverted by the East Coast. 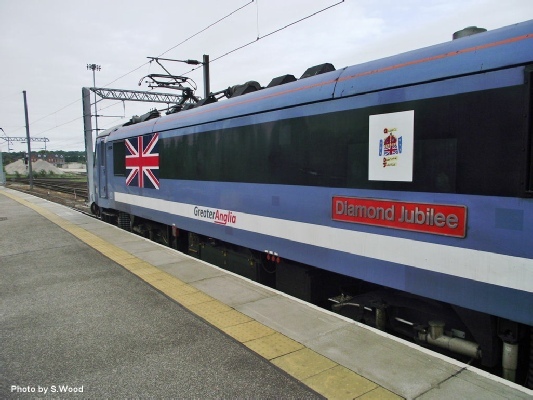 This is a shot of 90018 at Claypole on 1M16 - photo by Haymarket64b. 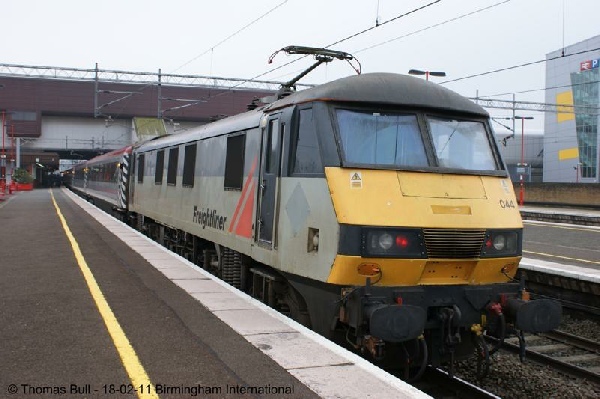 In cloudy conditions 90044 can be seen on hire to Virgin Trains pausing at Birmingham International bound for London Euston on WB64 - photo by T.Bull. 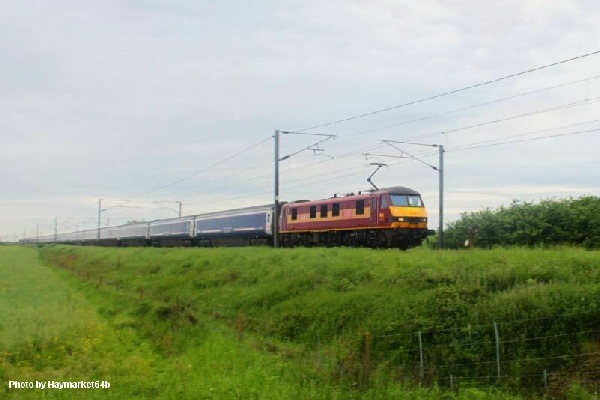 On a glorious sunny morning, 90021 has been captured working the Highland sleeper 1M16 enroute to Euston and is seen passing Ledburn Jcn - Photo by N.Ross. 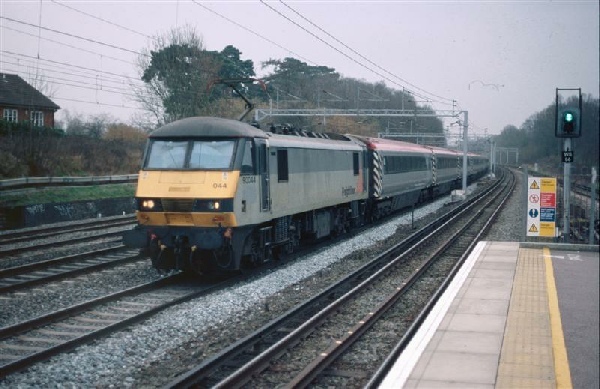 In cloudy conditions 90036 was photographed on the approach to Harrow & Wealdstone with the Highland sleeper 1M16 enroute into London Euston - photo by Q.Hedderly. 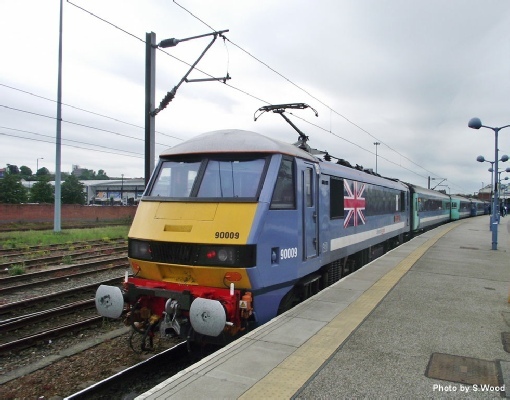 Another picture of 90036 working the Highland sleeper of 1M16. 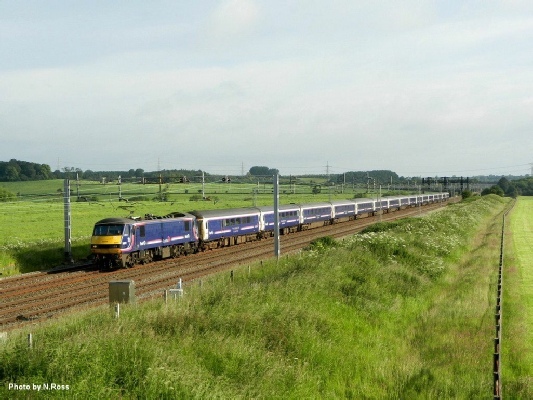 This time the 90 can be seen passing Ledburn Jcn enroute to Euston on the 23/6/12 - photo by N.Ross. 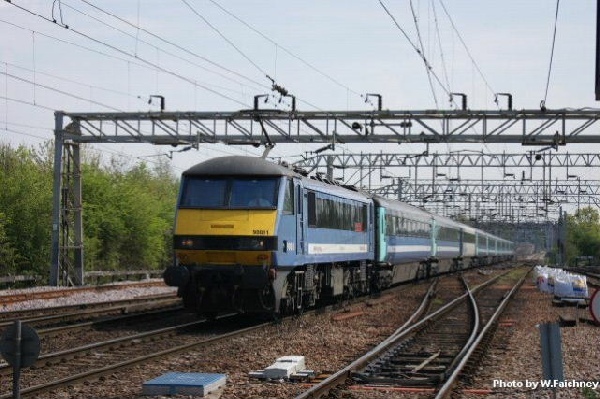 This is a shot of 90043 at the helm of 4M87 from Ipswich to Trafford Park. 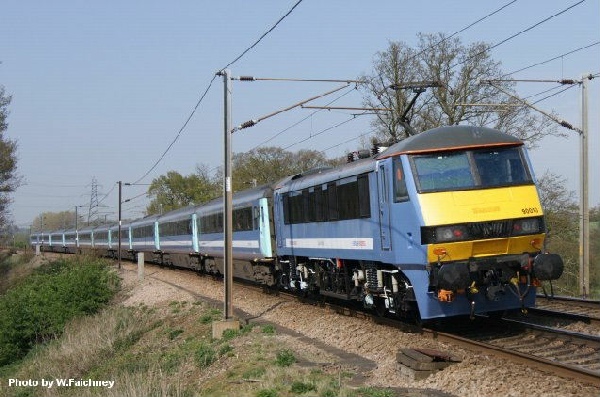 The 90 has been captured speeding past Belstead Bank near Manningtree - photo by L.Putland. 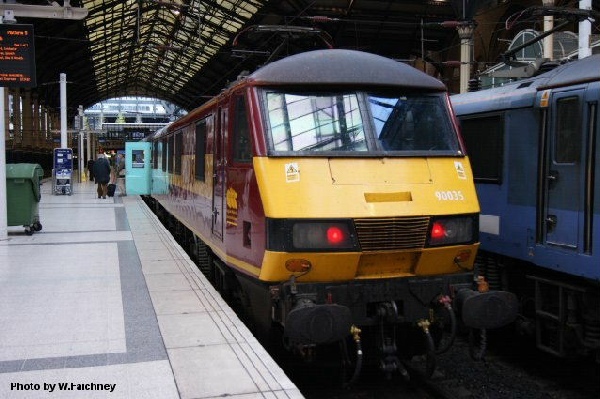 On hire to the then National Express East Anglia, 90035 has been captured at Liverpool Street after arriving with the 05:00 (1p01) service from Norwich - photo by W. Faichney. 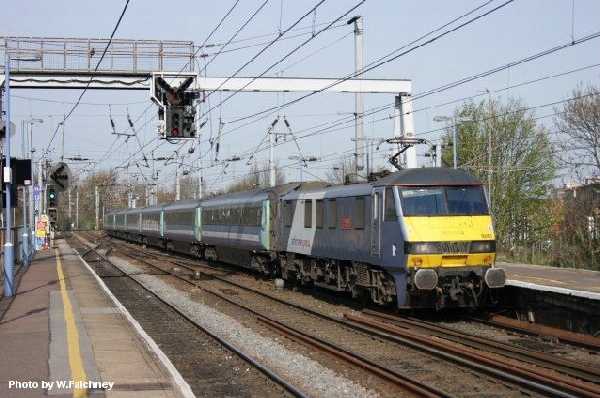 A few days later another contributor took a shot of 90044 this time at Carpenders Park on the WCML. The 90 is working the 14:43 EUS-BHM 1G27 - Photo by B.Holland. 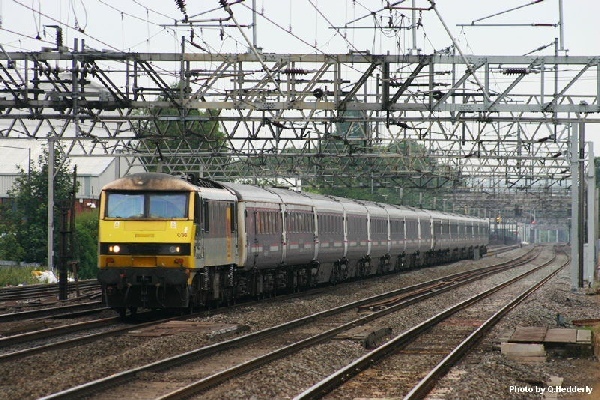 This is a photo of 90048 on hire to Virgin Trains standing at London Euston on WB64. It is worth noting that this was her debut outing with Virgin - photo by A.Sheridan.